David Lubars, worldwide CCO, North American chairman of BBDO, is the 2019 Titanium Lions jury president. Jaime Robinson, CCO of Joan Creative, will serve as Glass: The Lion for Change jury president. David Droga, founder and creative chairman of Droga5, has been named jury president of the Sustainable Development Goals Lions. The jury presidents span the Cannes Lions Awards architecture, introduced last year, which includes nine Awards Tracks. These Tracks provide an organizing structure to enable entrants to navigate the Lions and also reflect the diversity and specialism of the work from the creative communications industry. The juries will have the responsibility of curating a body of work that will represent 2018 and set the tone for the creative year ahead. The 2019 jury lineup includes two new Lions; the Entertainment Lion for Sport and the Creative Strategy Lions while the Product Design Lion has been retired. This shift in disciplines of Lions represents the changing industry landscape and how the future of creativity is evolving. Johnson has previously judged on the Titanium and Integrated Lions Jury. As one of the pre-eminent advertising creative and peace proponents in the world, Sokoloff has been a driving force behind work to aid demobilization in his native Colombia, while also producing work for brands including Burger King, Unilever and Magnum, winning 28 Lions for MullenLowe in 2018. Under his creative leadership Patroulis has delivered celebrated work, winning Lions across multiple categories for brands such as Axe, Google and Sony Playstation. With 20 years of experience in building and guiding world class design teams, Ting has worked with some of the world’s biggest brands and has won nearly every major creative award including a Titanium Lion. Weiss has guided the creative resurgence of DDB and since joining has earned 24 Lions and been named by the 4A’s as one of the 100 people who make advertising great. Robinson set up the UKs first joint creative agency and Production Company, founded Create Not Hate as a means to reduce gun crime and get disenfranchised youth into advertising and in 2009 was awarded an Order of the British Empire by Queen Elizabeth II for his services to UK advertising. With a background in music videos and working with directors including Damien Chazelle and Terrence Malick, Skinner has seen work she produced appear at Tribecca Film Festival this year. Donaton leads a team of more than 400 creatives through a worldwide “connected creative” practice and his many awards include Cannes Lions and an induction into the Advertising Hall of Achievement. With a career spanning over 34 years, Long currently serves as a board director for The Music Publishers Association and in 2016 received an OBE for her services to the music industry. As an advertising entrepreneur Stoute connects world famous brands to culture through sports and entertainment with campaigns for the NBA, NFL, Beats by Dre and Nike. He is a member of the Advertising Hall of Achievement. Under Mandelbaum’s leadership Y&R won the first Gold Lions for Czech Republic along with the first Grand Prix for Turkey and was named EMEA regional network of the year at Cannes Lions in 2017. In 2017 Droga was awarded the Lion of St Mark and has amassed more than 70 Gold Lions and 15 Grands Prix or Titanium Lions throughout his career. Before launching her own agency, Robinson led development and creative vision for Wieden+Kennedy and Pereira & O’Dell’s creative departments and has won over 30 Lions, including 3 Grands Prix. Having joined Publicis LifeBrands in 2011 Peera has helped the agency’s work gain international recognition, winning Pharma Lions in 2015 and 2016. A 39 year veteran at Ogilvy & Mather, Seifert has worked across the Ogilvy network in a range of client leadership and management positions. Yom works on global campaigns for Samsung International having previously led on “Dot. The first ever Braille Smartwatch” which won Product Design, Innovation and Health & Wellness Lions. The Reach Track recognizes the insight, strategy and planning that enables brands to effectively engage consumers, at scale, and be heard amid the ongoing battle for attention. Follows works with brands and helps them develop strategies to futureproof their organization. 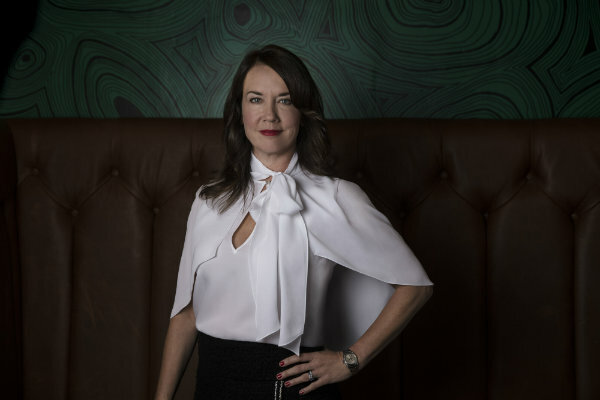 Prior to launching her futures consultancy she worked as Head of Strategy at Wired Consulting, Chief Strategy and Innovation Officer at the Future Laboratory and Chief Strategy Officer at J. Walter Thompson Worldwide and London. Sasaki leads the digital creative and innovation teams at Dentsu Inc, receiving 10 Lions in 2018. In 2006 he was a member of the Cyber Jury. With an extensive career spanning various roles across communications Hutton has led award-winning teams around the world. As the first creative woman to chair a UK marketing agency, Bullard leads the London office of the multi award-winning MRM//McCann. As Country Manager for WPP and Chairperson of MediaCom UK, Blackett is guardian for 17,000 people and 124 operating brands in the UK. She was awarded an OBE in 2014 and acts as a Business Ambassador to the Department of International Trade. The jury presidents will join their full juries at Cannes Lions where the winning work will be awarded each evening from June 17-21. Entries to the Awards open on January 17, 2019.